To place your Facebook ad, you will be using your Ad Manager which is located on the left side bar of your News Feed. 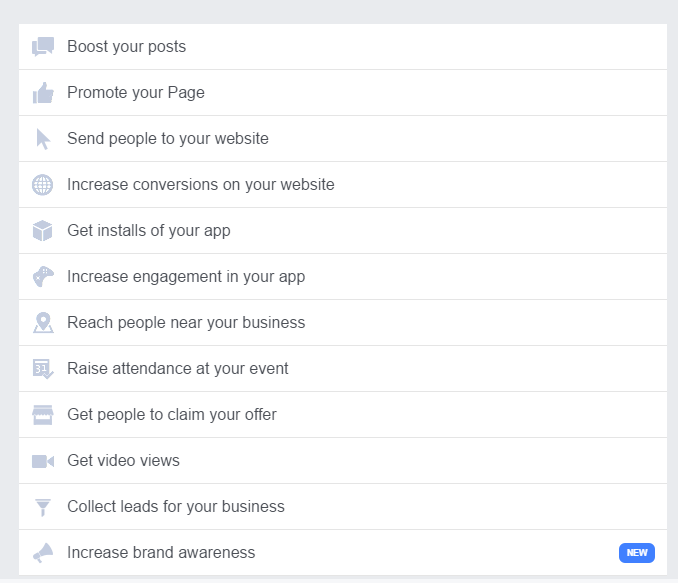 You will need to use a computer to place your Facebook ads. You may also use Power Editor to place ads if you are going to be placing a large number of ads. Click here to find out more about Power Editor. 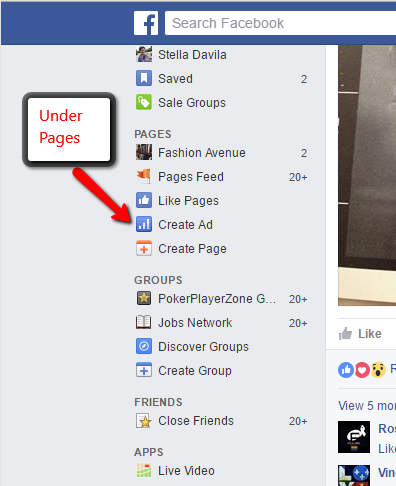 To create your ad, while viewing your News Feed, scroll down a little and look on the left side bar for the heading 'Pages', then click on 'Create Ad'. The next thing you need to do is select the objective of your advertising campaign. Ask yourself what you would like to accomplish with your campaign. Time to take action. 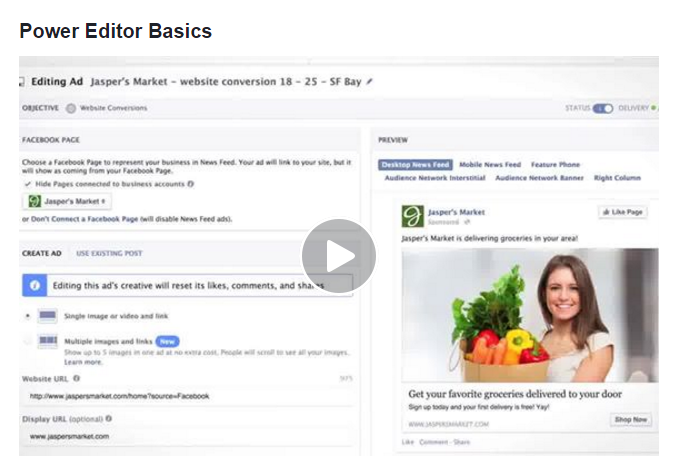 If you already set up your Facebook business page, great! Good job! If you need help designing a logo or a cover page, or just getting it the right size to fit, feel free to ask us for help by filling out the contact form on the right side bar of this blog. The next thing you need to do is get some likes to your page because Facebook limits your advertising until you have enough likes. If your budget is tight, first try to get likes organically. Facebook has a great tool for inviting friends to like your page, and anyone with a Facebook account can invite their friends to like your page as well. This is a very powerful tool, and most people never use it. Want to show one of your favorite pages how much you like them, love them, care about them? Invite your friends to like their page! Ready? Go! If you like this content please leave us a comment below, or write to us using the contact form on the right side bar. 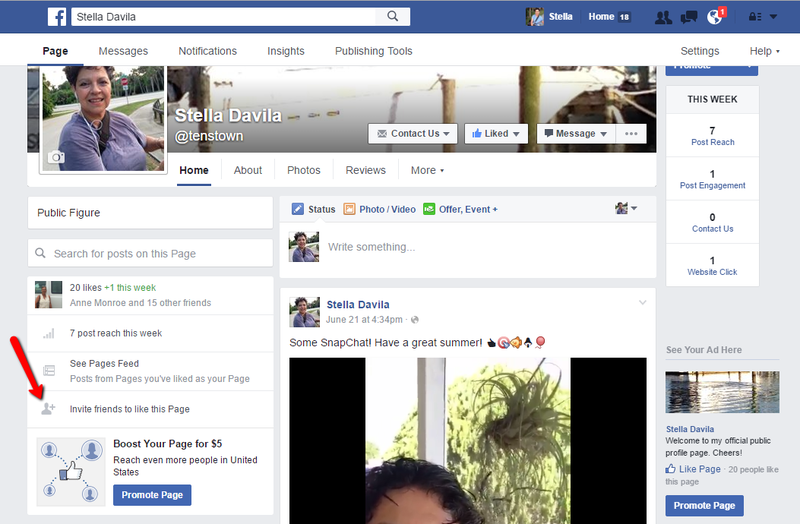 And, add stella_davila on Snap Chat to watch my video channel. 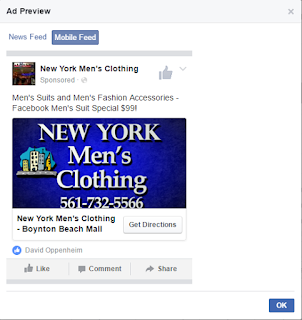 Facebook gives you the choice of where you can place your ad. You are not limited to one placement. Here are your three choices. You can place your ad run in the New Feed. This is the main feed where you see viral posts and the posts of your closest friends, as well as content from places you have liked. You can select your ad to run in the Mobile Feed. Your ad will be shown to users on mobile devices. Or you can run your ad in the right side bar located on the right side of the News Feed. This gives you more of a constant presence while users are scrolling through the news feed. 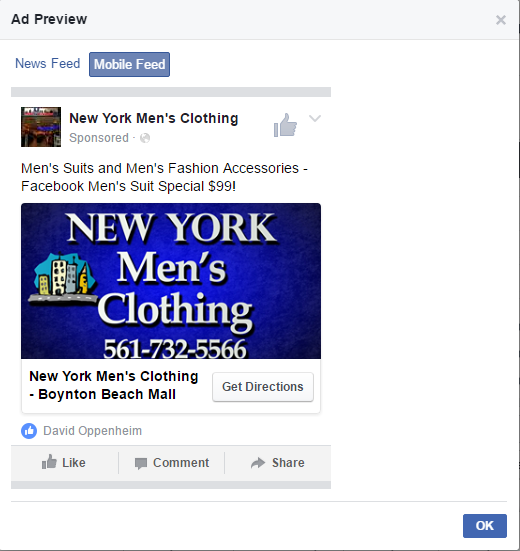 With all three types of ads, Facebook will allow you to preview how they will look. Therefore, you should consider where you want to place your ads by the size of the images you are using or whether or not you are using video in your ad, and how much budget you have set, as well as who you have selected to target. Below is an example of what a preview of a Mobile Ad looks like. Facebook has been a vital resource for marketing businesses online for many years now and this is still the trend. After people visit your business website, they will look for your Facebook page. I have seen many business owners who still think they do not need a website, but this is a huge misconception. Having a website makes it possible for you to run Facebook advertising without getting banned or your ads not getting approved, and it sets you apart as an authority in your niche. And, if you have a website and do not have a Facebook page, I highly recommend you create one as soon as possible. You can find out how to do this from Facebook here. Then, you should include a link from your website to your Facebook page. Remember, your marketing is like a spoke on a bicycle wheel, and your Facebook marketing is just one of the spokes of the wheel you need to get your message across the Internet. 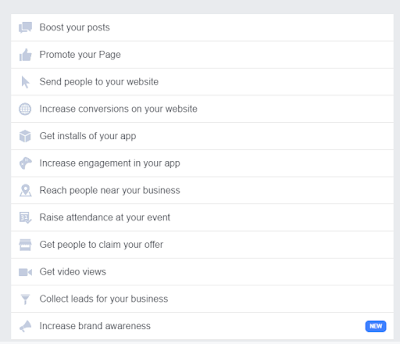 Facebook will allow you to target people who have an interest in your product or service, and you can choose your budget and how long you want ads to run. You can set your budget to start as low as $5 per day. You may think you can't afford to run ads, but you really can't afford not to run ads on Facebook to get more business and more customers. Facebook is still the worlds biggest social media resource with over 1 billion daily active users. If you would like for us to manage an advertising campaign please fill out the contact form and we will be more than happy to be in contact with you. And if you would like more information about Facebook marketing in future posts, please use the 'Follow' link for notifications of future posts. We are marketing consultants, and our mission is to help people around the world learn how to brand and create more business for themselves using the power of the Internet in various ways including the ever so popular platforms of Social Media. We are happy to help lead you in the right direction to increase web traffic to your business so you can help more customers. Please send us an email at: info@oceaninternetmarketing.com for more information or to request a FREE 30 minute consultation. We can also be reached at 321-209-4041.